Illustration student Toko Hosoya wins Gold! 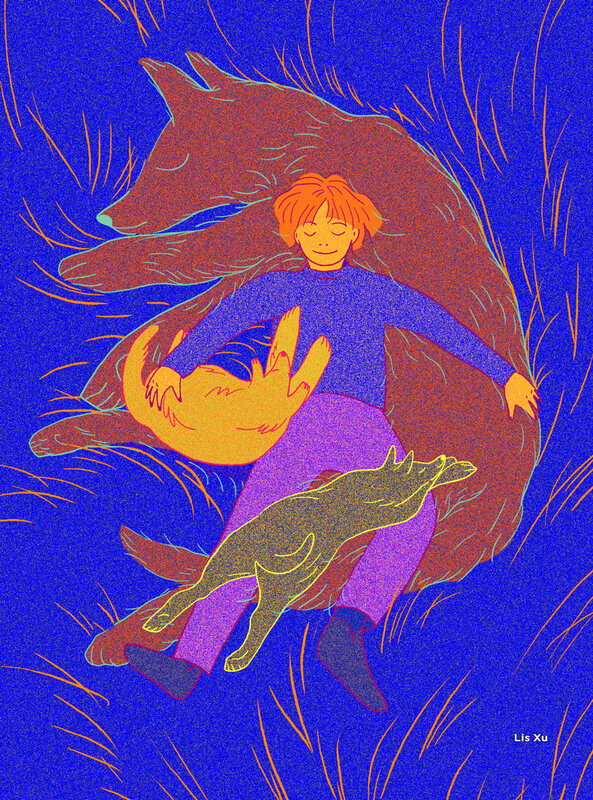 Another big win for an OCAD University illustrator: the New York’s Society of Illustrators has awarded second-year Illustration major Toko Hosoya, the Gold medal in the professional category Uncommissioned Illustration. OCAD U’s Illustration program as several medal winners among faculty and alumni, but this is the first time a student has won Gold in a professional category. Hosoya’s work, titled “Earthstar,” will be exhibited in the Illustrators 60 Part One Show (Advertising, Institutional, Surface/ Product Design, and Uncommissioned categories) starting Friday, January 5th at the Museum of American Illustration and published in its Annual. The Annual will feature 400 pieces of the most outstanding works created throughout each year. Gold and Silver medals will be presented to the illustrators and art directors for each category at the Opening Reception and Awards Ceremony. Members of this year’s jury hailed from the Whitney Museum, the New York Times and Chronicle Books. Read more about Illustration student Toko Hosoya wins Gold! We caught up with two very successful illustrators and authors (and #OCADU alum), brothers Eric and Terry Fan. The brothers’ newest book, The Antlered Ship, is available now and getting great reviews. 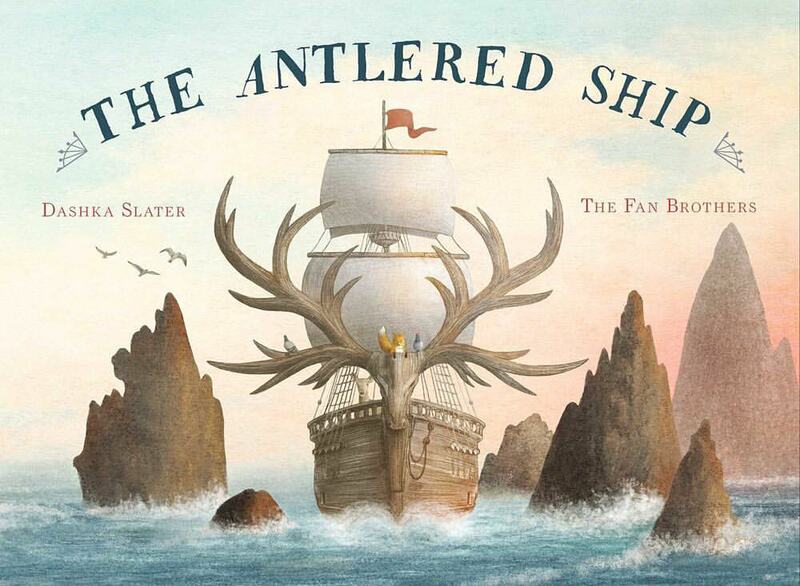 Congratulations on the success of your latest book, The Antlered Ship, that you illustrated! What do you love about writing and illustrating children’s books? Eric: Thank you! Speaking personally, I enjoy the opportunity to create an imaginary world and the challenge of sustaining a narrative over forty pages or so, which is the average length of a picture book. Before we started working in the picture book field I was doing t-shirt design, and stand-alone illustrations and so it was nice to tackle something more expansive. Picture books also had a big impact on both of us growing up, so part of the magic of creating a book is the hope that your book could have a similar impact on a young reader, and maybe even fuel and shape their imagination in the same way that we were impacted. Terry: I feel the same way, and it's funny because many of our stories evolved from those stand-alone illustrations. Every illustration is a form of storytelling, in a sense, and sometimes when you're working on a stand-alone illustration you can't help but think of the broader narrative scope around it. The fun part about a picture book is unpacking that, and expanding and building upon the implied narrative of that one image. What do you think makes a good children’s picture book? Eric: The simplest answer I can think of is a book where the art and story fit together in such a way that both are elevated and seem absolutely inseparable from one another, but I don't know if there is a strict set of criteria that applies to all good picture books, since books fulfill different needs. There are good picture books that are purely educational, and some that are designed to make you laugh or fire your imagination. I guess if there is one commonality, it would be strong storytelling and an original point of view; or a story with heart that tells the reader something about what it is to be human. When I think about picture books that have impacted me personally, it's a fairly eclectic mix, but I think the one persistent feeling that unites all of them is one of discovery; of a door opening. When I was little, the first book to really do that for me was Where the Wild Things Are. I didn't so much read it as experience it; an imaginative transference of ego into another character, and another world. Then there are picture books that speak to me as an artist because they are so aesthetically sublime, as well as being compelling stories - books like This is Not My Hat, Du Iz Tak, The Gold Leaf, and The Snowy Day. Terry: I agree. A good picture book to me is one that is transporting. Being imaginatively transported by a book is one of the most rewarding things about reading in general, whether it's a novel or a picture book. I do find myself drawn to stories that have interesting layers and depth to them - books like Virginia Wolf, Grandpa's Island, or Shaun Tan's The Arrival. I think about a wordless picture book like Sidewalk Flowers, how simple it is, yet how elegantly it conveys its message of appreciation and being present in a world full of distractions; how effortlessly it delivers its moments of poignancy and beauty without a single line of text. Childhood is actually a time of powerful emotions, mystery, and wonder, and I think the best books tap into that in some way. Even a classic board book like Goodnight Moon carries some of that power and mystery. It's such a simple book, but also poetic and affecting in a way that's hard to articulate. How did you get started in writing and illustrating books? Eric: We both had a rather circuitous path into the picture book field. After OCAD U Terry and I both ended up working in jobs that were not art-related for many years, while still doing art in our free time. We also spent many years attempting to write screenplays with our other brother Devin. We had a literary agent in Hollywood, but never managed to get a script optioned, although there were a couple of tantalizing near-misses. Terry: At some point Threadless partnered with a new website called Society6, and they encouraged people to upload art there as well. Society6 is a print-on-demand website that allows anyone to set-up a shop, like Etsy, except that Society6 handles all the logistics, printing, and order fulfillment. The revenue stream from Society6 eventually allowed me to quit my full-time job, and focus completely on art for the first time. It's also where our agent, Kirsten Hall, first noticed our artwork and approached us about representation. She also asked if we had any book ideas that she could present to publishers. 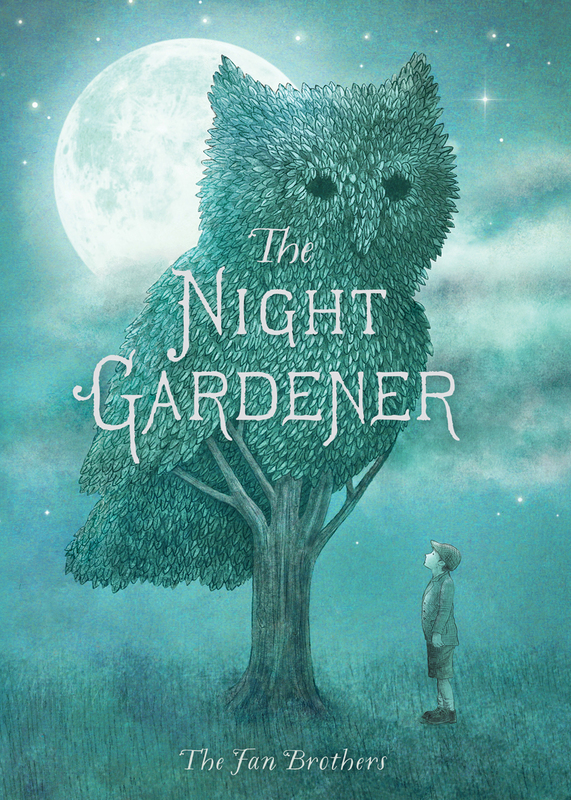 Going back to what I said earlier about inspiration, Eric and I had collaborated on a stand-alone illustration called The Night Gardener, which started out as a t-shirt design, and we always felt there was a story around that image that was waiting to be told. That was the image and story concept we presented to Simon & Schuster, and it eventually became our first picture book. The book we're currently working on, Ocean Meets Sky, was also inspired by a stand-alone illustration. How do you like working together as brothers? You both went to OCAD U…you’re both illustrators…and you collaborate on books. What’s the secret to your partnership? Eric: Our very first collaboration was a book we did when we were kids, before we could read or write. It was called Many Years Ago, and was about dinosaurs, naturally. So it's something we've been doing for a long time. I think whether it was screenwriting, or illustration, we always recognized that different people coming together on a project could strengthen it, because each person is bringing something a little different to the project. It can be challenging, but in a very real sense every book is a collaboration, even when a single artist is involved; you're still collaborating with the editor and art director and writer. 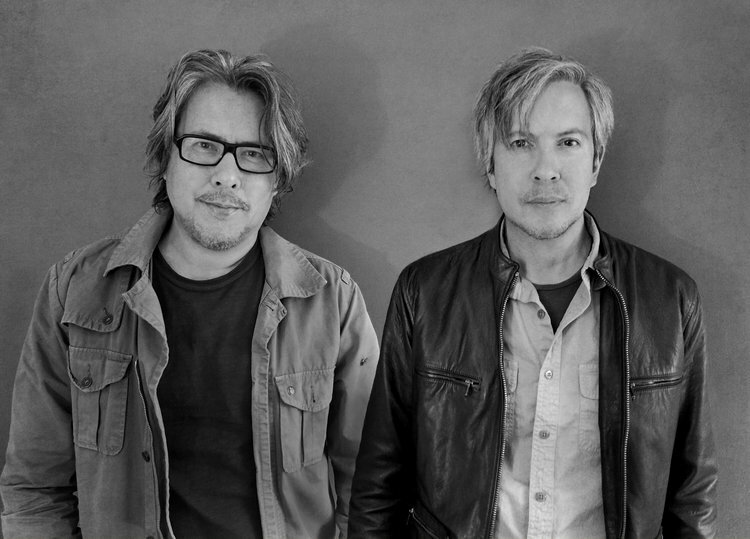 Terry: It's kind of like being in a band, as opposed to being a solo musician. As I mentioned earlier, we’ve collaborated on art many times before, and submitted several collaborations on Threadless, so I think over time we developed a good vocabulary as far as working together. The sum of our individual styles is a third style, that is something unique to each one of us and in some ways greater than the sum of its parts. On the technical side, Photoshop has made things much easier as far as combining different elements that we've worked on individually. What’s your best advice for young artists and designers just starting out? Eric: Don't wait as long as we did before believing in yourself. The most important step to being successful is tearing down the barriers that you've put up for yourself. That's step number one before even attempting to confront the barriers that the world at large puts up. On a more practical note, the best advice I could give is to get your work seen by as many people as possible. The landscape for artists is so different now than it was when we were at OCAD U. It’s possible to have your work seen by a much larger audience, a global audience, and there are so many avenues to get your work online - whether it’s social media like Instagram, Twitter, and Facebook, or whether its online marketplaces like Society6. It can be a little daunting at times, but it’s definitely worth the investment. Terry: I'd agree with all that, and add that when you're younger you have something that is invaluable, and that is the luxury of time. Looking back, I wish I hadn't been so careless with that resource, because it becomes more scarce as you get older. Take the time to draw every day, and create as much as possible. It takes time to discover your voice, and locate not only what is meaningful to you as an artist, but also what it is about your art that resonates with other people. Seth is a Canadian cartoonist who has been producing comic art for over twenty years. His books include It’s a Good Life, If You Don’t Weaken; Wimbledon Green; George Sprott, and his ongoing series, Palookaville. 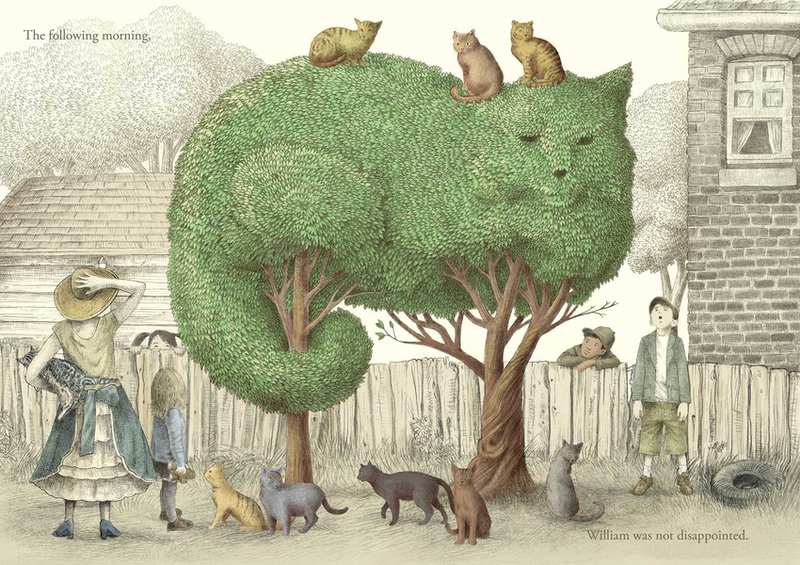 Apart from comics, he is the illustrator for Lemony Snicket’s All the Wrong Questions series. He is the designer for several classic comics reprint series, notably collections of work by Charles Schulz, John Stanley, and Doug Wright. Seth has exhibited throughout the world in a variety of group and solo shows, including a touring show of his model city of Dominion. From his home in Guelph, Ontario, he does illustrations for numerous magazines, including The New Yorker. Adrian Tomine was born in 1974 in Sacramento, California. He began self-publishing his comic book series Optic Nerve. His comics have been anthologized in publications such as McSweeney’s, Best American Comics, and Best American Nonrequired Reading, and his graphic novel Shortcomings was a New York Times Notable Book of the year. Since 1999, Tomine has been a regular contributor to the New Yorker. He lives in Brooklyn with his wife and daughters. Terry Shoffner, Illustration Professor, has a current exhibition of his watercolour paintings at the Art Emporium Gallery in Fayetteville, Arkansas through mid-October. He will be talking about his work and signing prints for up to 7,500 invited guests on September 23 at a reception in the gallery. Graphic storytelling, journalism and non-fiction novels are all the rage. 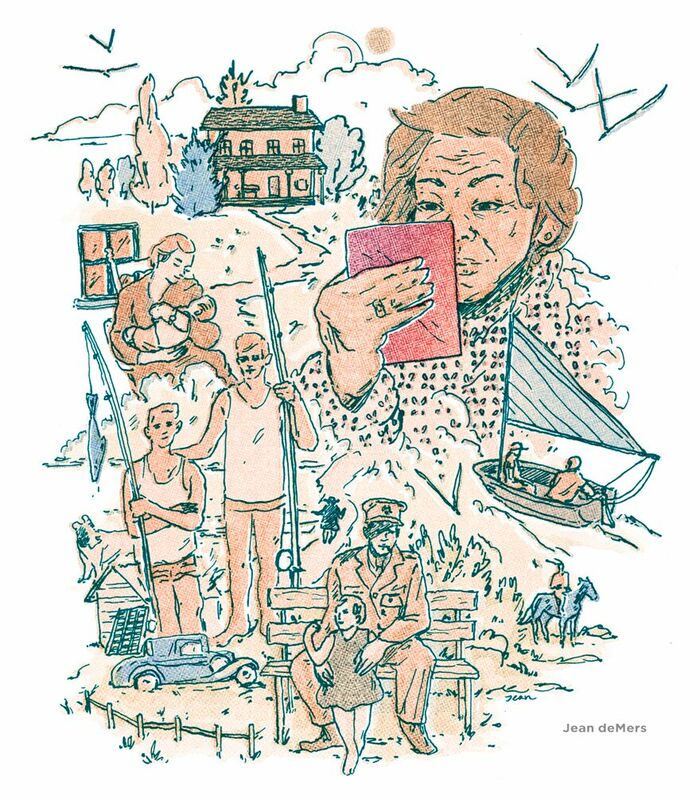 Joe Sacco is one of the leading illustrator/authors in this field, with a long list of awards for his publications. Sacco inserts himself back into his hitness narratives creating both dynamic and reflexive reportings from many contemporary war zones and occupation sites such as Bosnia (The Fixer) and Palestine (Footnotes in Gaza). Having taken on American poverty (Days of Destruction, Days of Revolt) Sacco is currently working on a new book about mineral extraction rights and the Dene First Nations. Congratulations to Illustration Sessional Instructor Doug Panton who has been announced winner in the category: Fine Art Professional for Creative Quarterly 49, an international journal focusing on promoting the work of the creative community, representing current work in graphic design, illustration, photography and fine art. His work will be exhibited in Creative Quarterly, on the newsstand Winter 2018 and will be posted on their Online Gallery in Winter 2018.